* Pianists who love classic rock, look no further; this collection has it all! 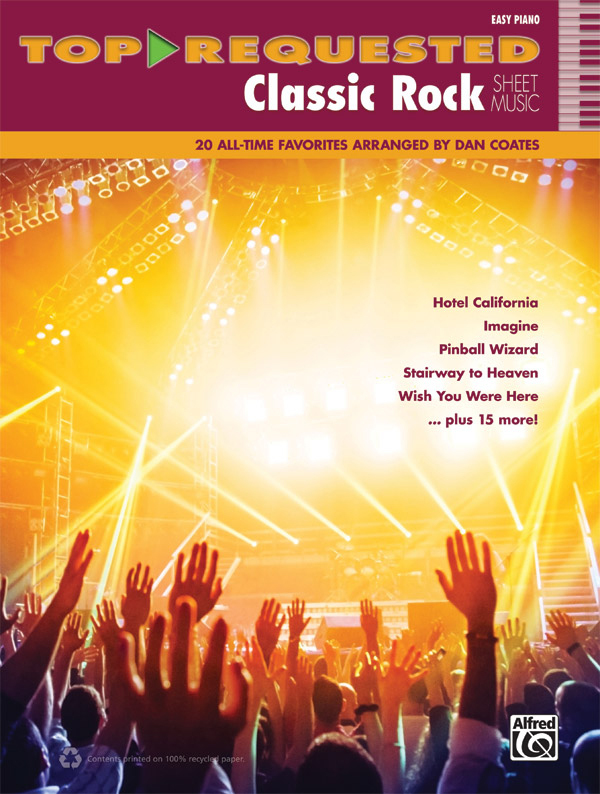 * Acclaimed keyboard arranger Dan Coates makes 20 of classic rock's most celebrated tunes easy to play in this gem of a songbook. * Impress friends and family by playing the most beloved rock hits of all time. * Titles: Any Way You Want It (Journey), Behind Blue Eyes (The Who), Bridge Over Troubled Water (Simon and Garfunkel), Desperado (Eagles), Don't Stop Believin' (Journey), Gimme Some Lovin' (Spencer Davis Group), Great Balls of Fire (Jerry Lee Lewis), Hotel California (Eagles), How Deep Is Your Love (Bee Gees), I Saw Her Standing There (The Beatles), Imagine (John Lennon), Killing Me Softly with His Song (Roberta Flack), Moondance (Van Morrison), Piece of My Heart (Janis Joplin), Pinball Wizard (The Who), (I Can't Get No) Satisfaction (The Rolling Stones), Stairway to Heaven (Led Zeppelin), Thunder Road (Bruce Springsteen), A Whiter Shade of Pale (Procol Harum), Wish You Were Here (Pink Floyd).